Goal Setting - love it or hate it? At Little Bird Marketing we love it, but we hate busy work. You won't see us setting goals just to check it off our list. We want to set REAL goals that will guide our decisions throughout the year. 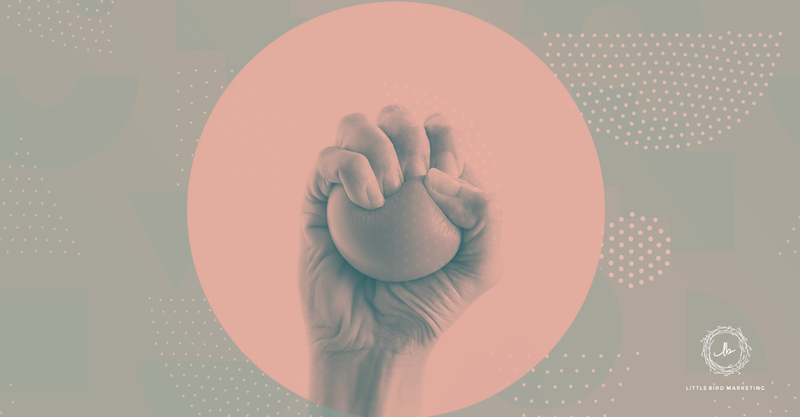 Actually, great goals make your annual decisions so much easier. So goal setting is the WHAT you'll get accomplished, but these goals require action and decision on someone else's part. We need clients to trust us and buy from us. Are you in the same boat? Read on! So many focus on creating the goals, but very little time focused on how they are going to accomplish them. We follow the SMART guide (goals must be Specific, Measurable, Assignable, Relevant and Time-Driven). That is not new, but even if our goals are SMART, our buyer may not buy from us. An even more nuanced problem is that we might get people buying from us, but are they our ideal clients? It's a tough pill to swallow that even if you are selling you might not necessarily be profitable. If you're new to persona development, just check out our free guide that will walk you through the process. But before you do let me convince you how important this step is for creating better goals for a great 2016! So what does this have to do with my 2016 goals? From these categories we create different personas. You may find it easier to create personas by Job Title of those who buy from you. This can be an easier approach for your first go-around with personas. How do you source on-going information about your job? How do you research vendors, products or services you use? 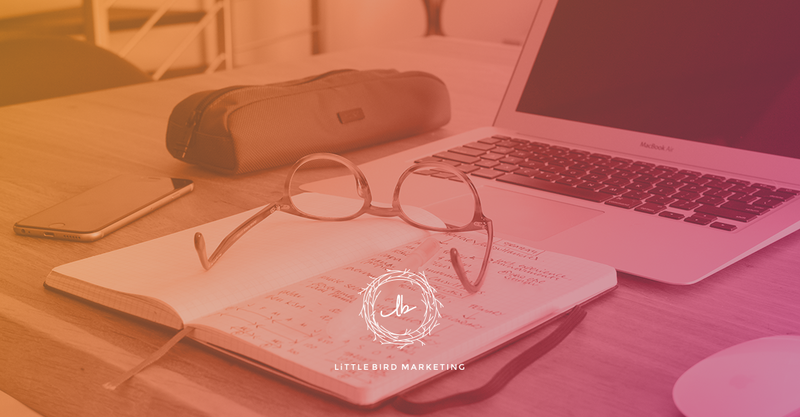 Why did you choose Little Bird Marketing? What could we do to lose your business? Doing this research brings up more questions you can discuss as a group. It's important to get several people in your organization involved in reviewing these answers. For example, a project manager might have a very different experience with a client than a hands-on designer. 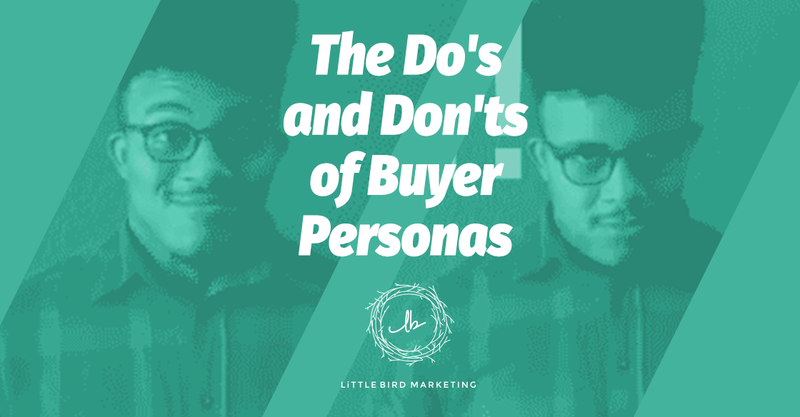 The second step in creating buyer personas is identifying trends. Since you just finished your research, you should comb through that data first. Some trends will pop out and should be tagged for further research. You may or may not be able to call this client back and dig deeper, but this at least should give you a clue about what is happening. You can research that trend online or engage with a consultant in your industry. Secondly, you should incorporate your CFO into this process. What once was your core profit may be changing. This person can identify whether what you are selling most prominently is still your number one seller. For example, it was important to us as a team to see the trend in more CFOs and Presidents demanding that their team get current with social media. We linked this reason for them choosing Little Bird with the financial up-tick in the profitability of our social media management services. Identifying this years ago helped us set a course for comprehensive inbound marketing services which are important to the clients and profitable to us. Before you lay out your amazingly SMART goals for 2016 first know WHO you want to sell to this next year and discover WHY they will be motivated to do so. Then, your goals can outline the WHAT right around the WHO and the WHY, setting you up for success in 2016! It's time for some fun, check out The Perfect Persona to walk through creating that first persona.